Toffee Butter Crunch Wax Bar, Salted caramel glaze, candied walnuts, toffee and vanilla bean. Toffee Butter Crunch Wax Bar -Salted caramel glaze, candied walnuts, toffee and vanilla bean. 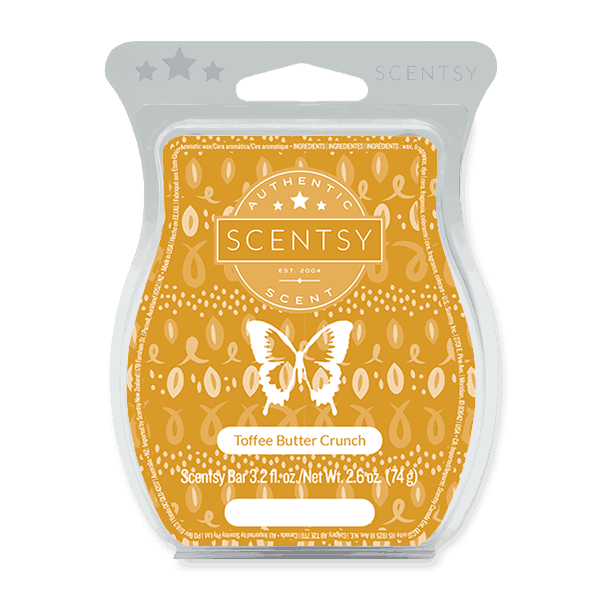 All the ingredients for a delectable sensory confection are here in one sweet, intoxicating fragrance you’ll savor all season long!